James & Michael ★. . HD Wallpaper and background images in the James McAvoy and Michael Fassbender club tagged: photo x-men first class michael fassbender james mcavoy charles xavier erik lensherr. 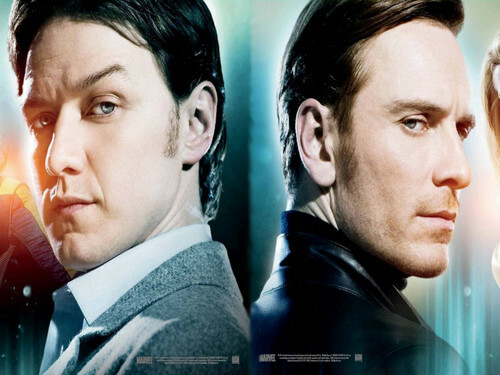 This James McAvoy and Michael Fassbender wallpaper might contain बिजनेस सूट, चित्र, headshot, closeup, हेडशॉट, and क्लोज़अप.